I received a few packages of the cube distress inks so I could participate this week, and have been practicing with them. I'm so glad I bought the less expensive watercolor paper, because I have pracitce samples all over the place....lol! When I finally felt like I had a good grasp on using them with water, I tried using them with stencils...and didn't really love the result. Maybe I don't have the right type of stencils for it, or maybe it was just a look that is not my favorite. Not sure...but I knew that I had signed up for the stencils/masks day during this week. 2. Cut a block of watercolor paper slightly smaller. 3. 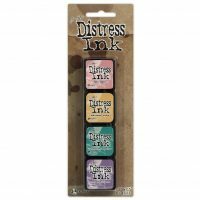 Add three streaks of distress ink across the top of the watercolor paper. 4. 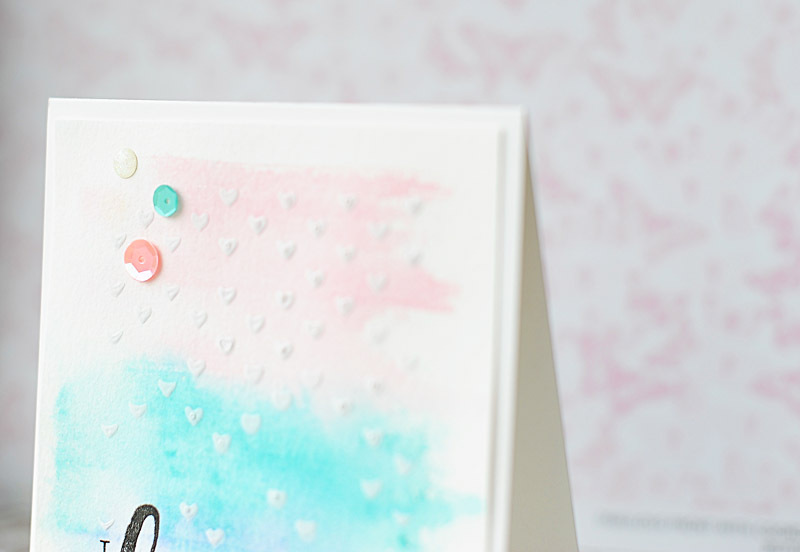 Spritz it with water to let the inks blend into each other a bit, then wipe off any excess. 5. 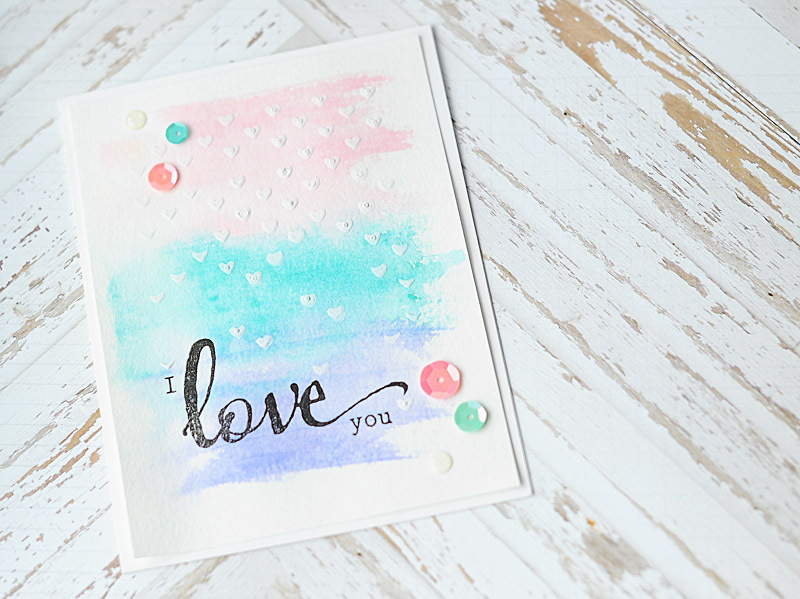 Let it dry, then add the gesso hearts to the front using a stencil. 6. Let that dry, then stamp the sentiment to the front. 7. Accent with sequins & white glitter enamel dots to finish. 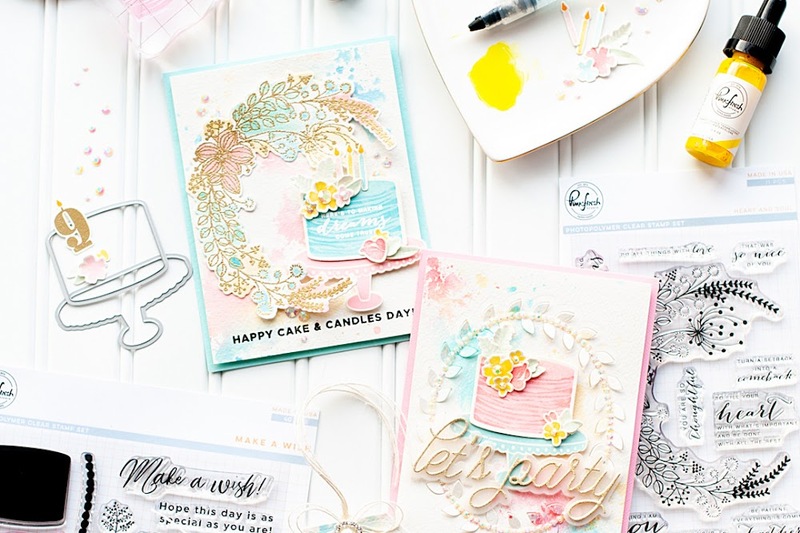 Be sure to head on over to the Winnie & Walter blog, and check out all the posts from this week! Ranger has generously offered up an amazing prize, and there are two ways you can win! First you can leave comments on each blog post from this "Share the Love" week, and you can also participate! 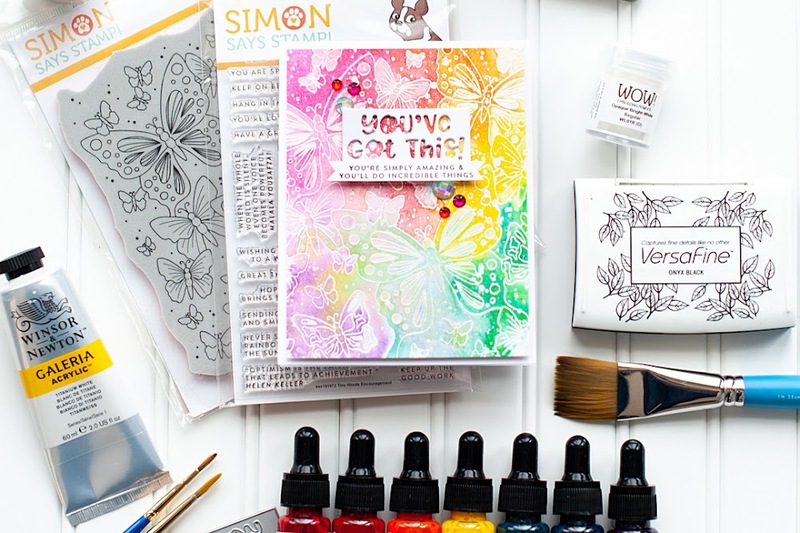 There are link-up lists at the bottom of each technique day, and all you have to do is create a card using distress inks & at least ONE Winnie & Walter item (there are freebies on the website if you don't have any W&W in your stash yet!!). 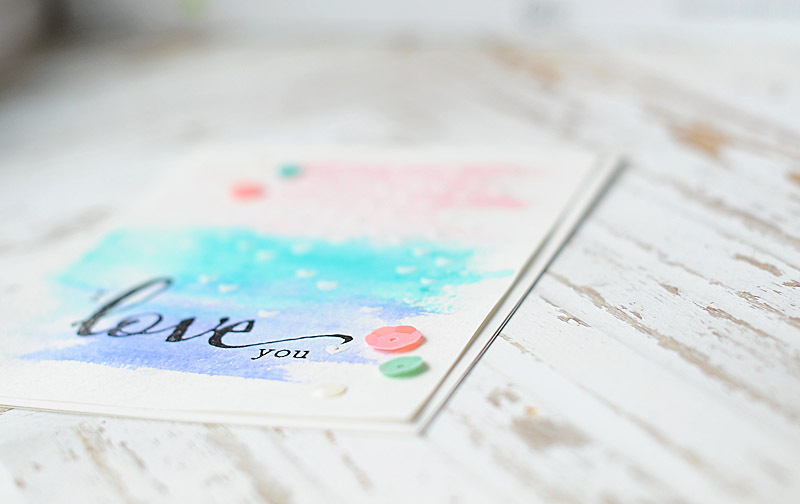 We hope you will join in with us, and I hope that you enjoyed my first time using a watercolor technique on my cards. It was quite fun...I foresee myself doing it more in the future! Have an awesome day! 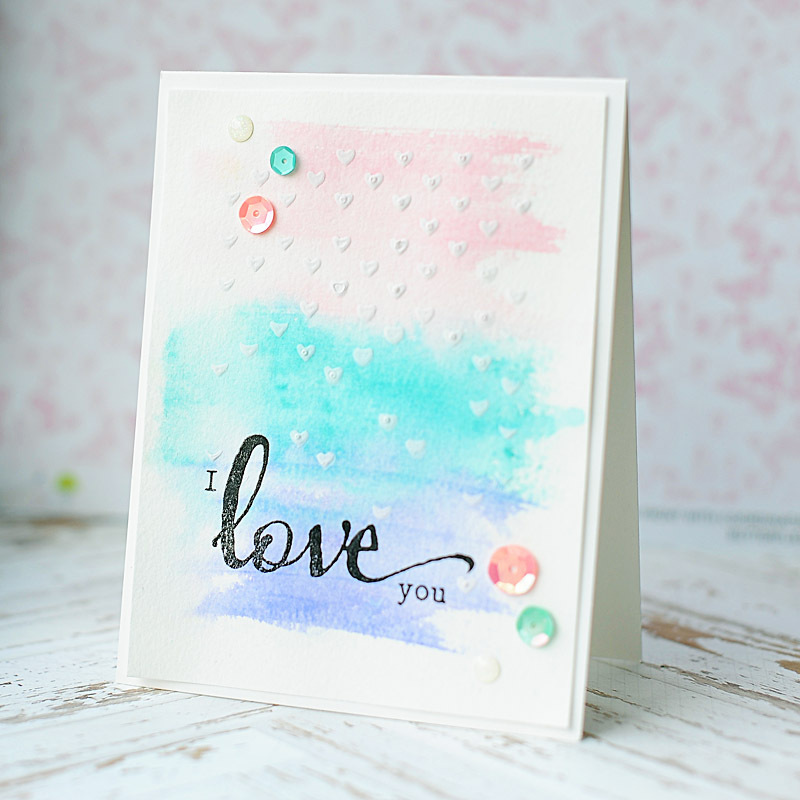 This turned out so pretty.The gesso hearts are perfect with that sentiment! Absolutely beautiful. 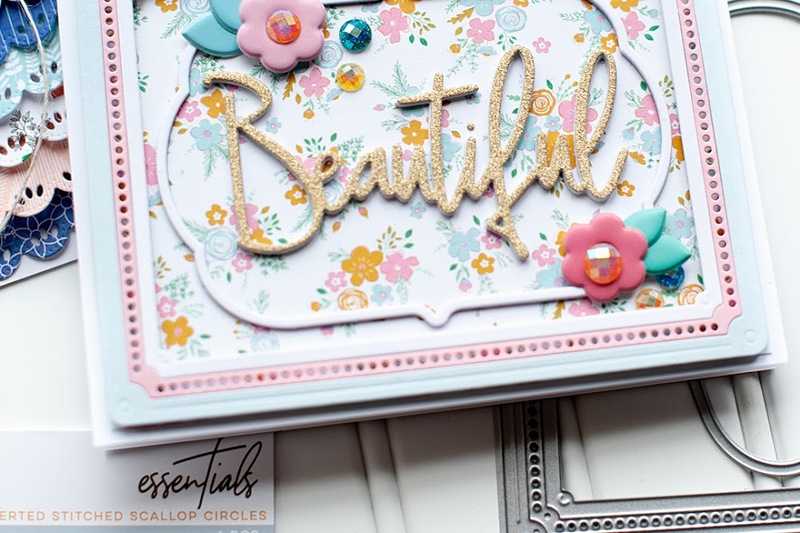 Such pretty colors and details, Lea! This looks so pretty, Leah. I like the way it turned out. Very soft and pretty.